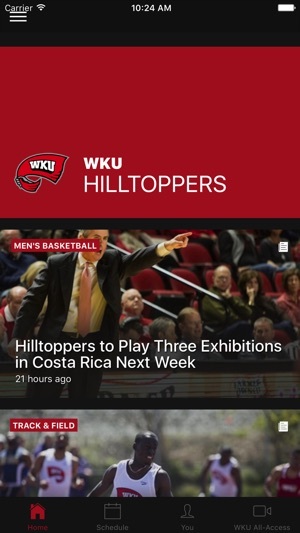 The official WKU Hilltoppers application is a must-have for fans headed to campus or following the Hilltoppers from afar. With FREE LIVE AUDIO, interactive social media, and all the scores and stats surrounding the game, the WKU Hilltoppers Gameday application covers it all! I wish it had score updates of live events. I also wish it were updated more frequently, maybe even a link to live news conferences as they happen. I would also like to see more bowl coverage. 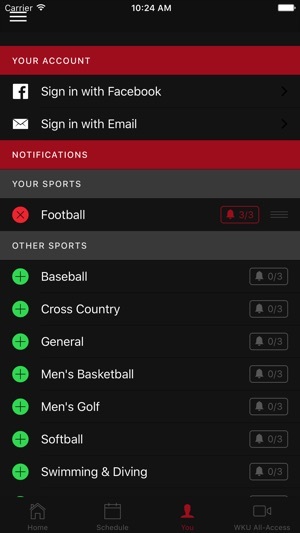 Really great things are happening with our beloved school's sports programs and I would like one app that I can follow all of WKU's sports, in one app, in real time. 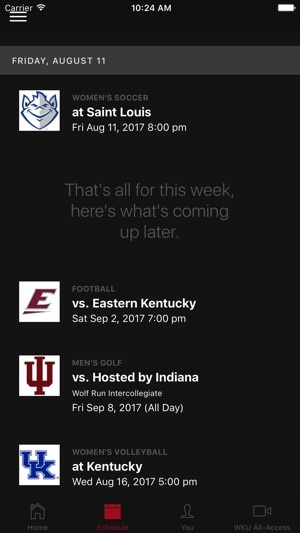 As current student and member of the athletic bands this app is often a lifesaver. Especially when several games are going on at once - it helps you stay on top of all your topper action no matter where you are! Love the app. I have a son who has signed to play baseball there starting next year. Can't wait to follow the team using the app. Go Toppers!!! !